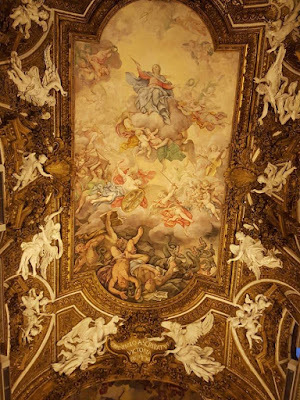 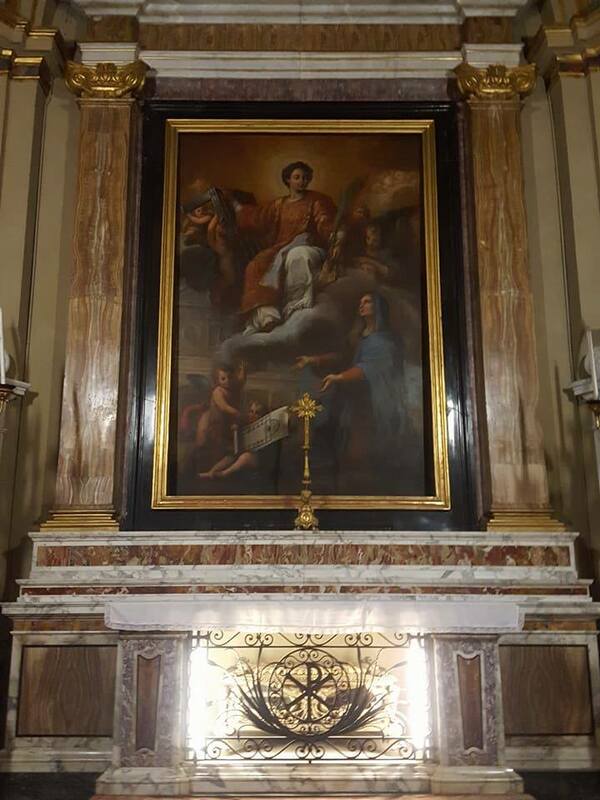 In the magnificent painting over the high altar, The Crucifixion by Guido Reni (1575-1642), the body of Christ is pale and white against a much darker background. 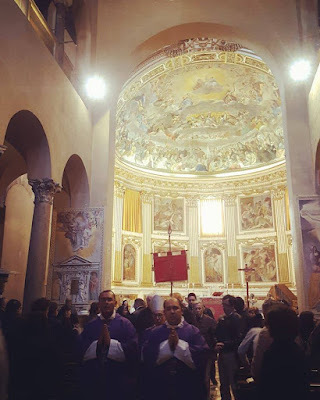 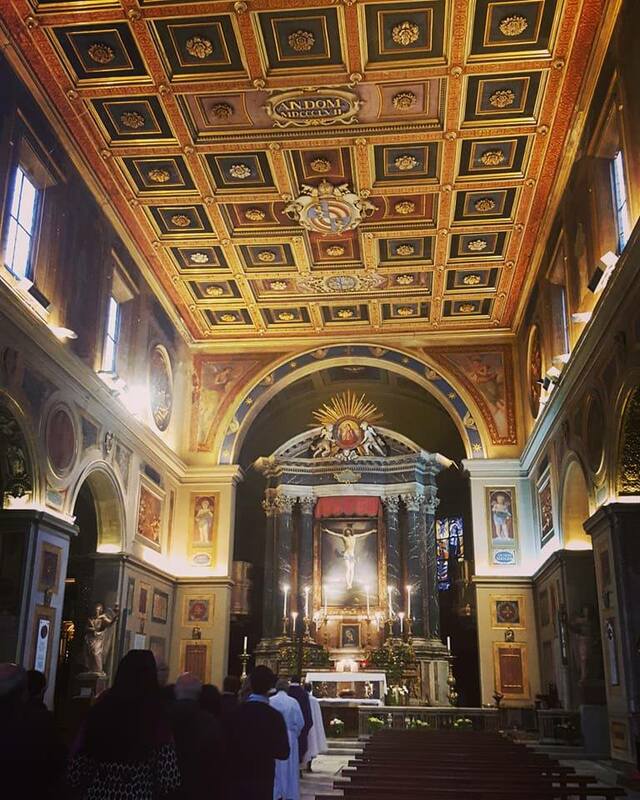 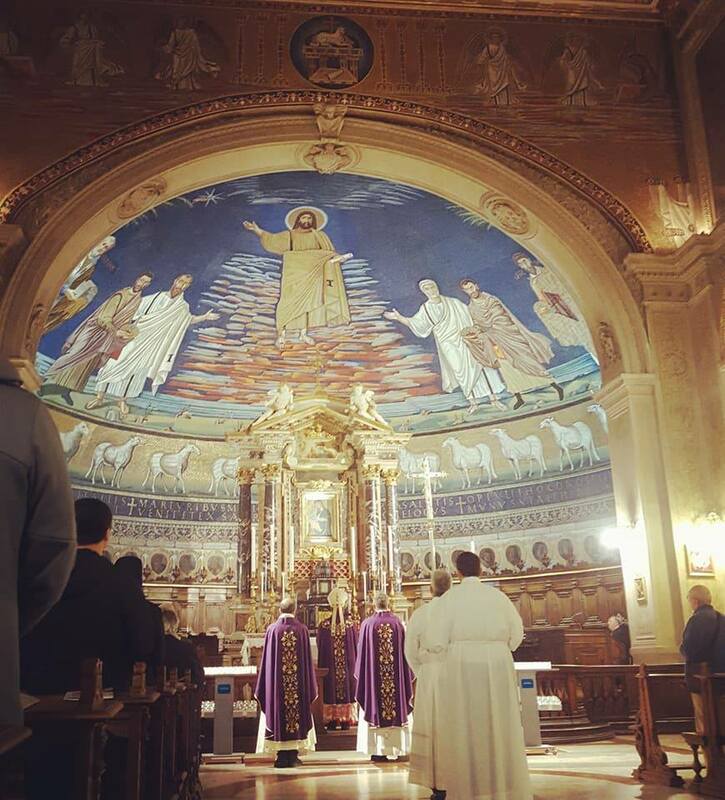 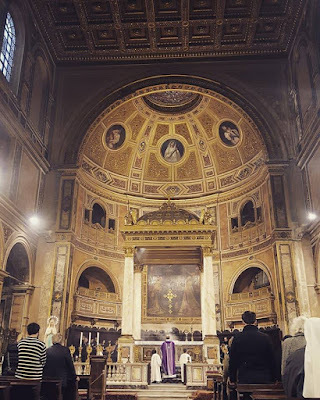 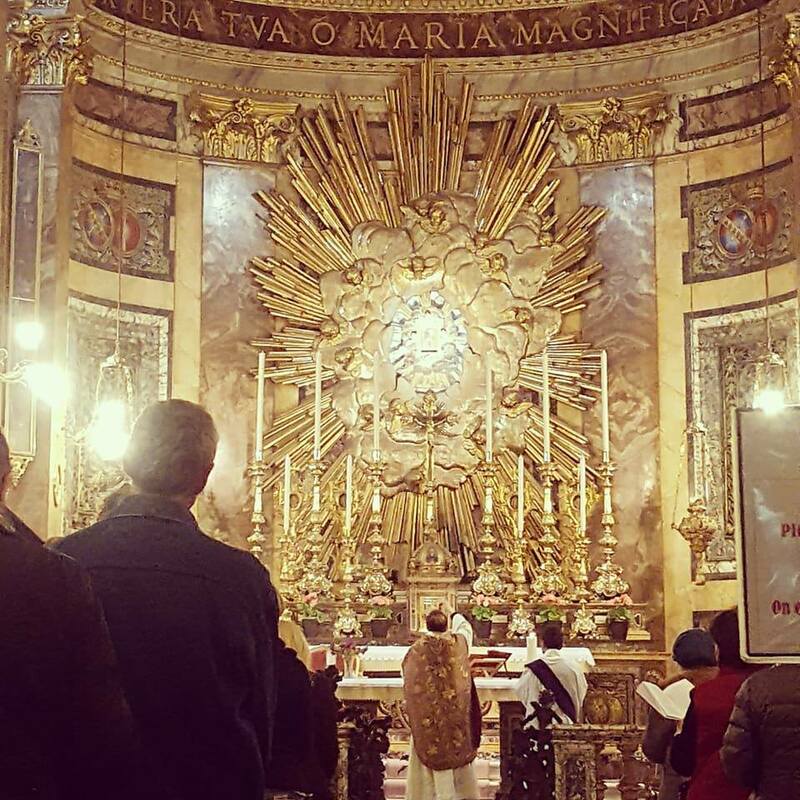 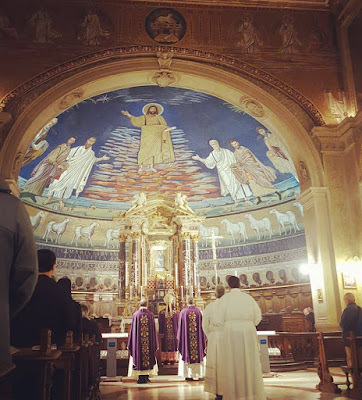 The effect is somewhat obscured in the photo by the lighting, but normally, one can see the body of Christ raised above the altar at a distance, even standing outside the church in the piazza, a reminder of the Elevation of the Host during the Mass. 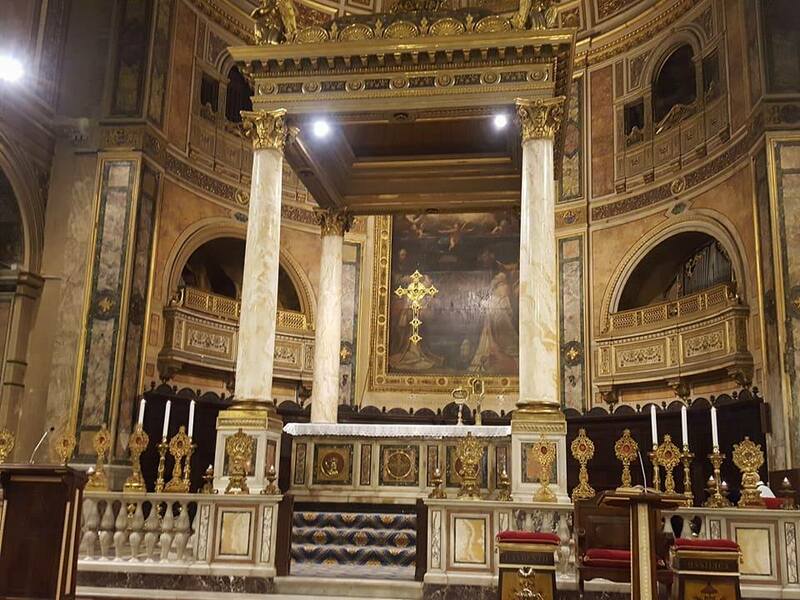 For the fourth year in a row, the church of St Susanna is closed for eternal restoration. 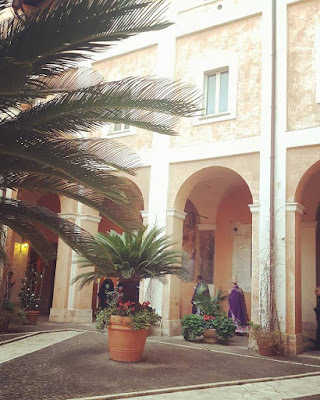 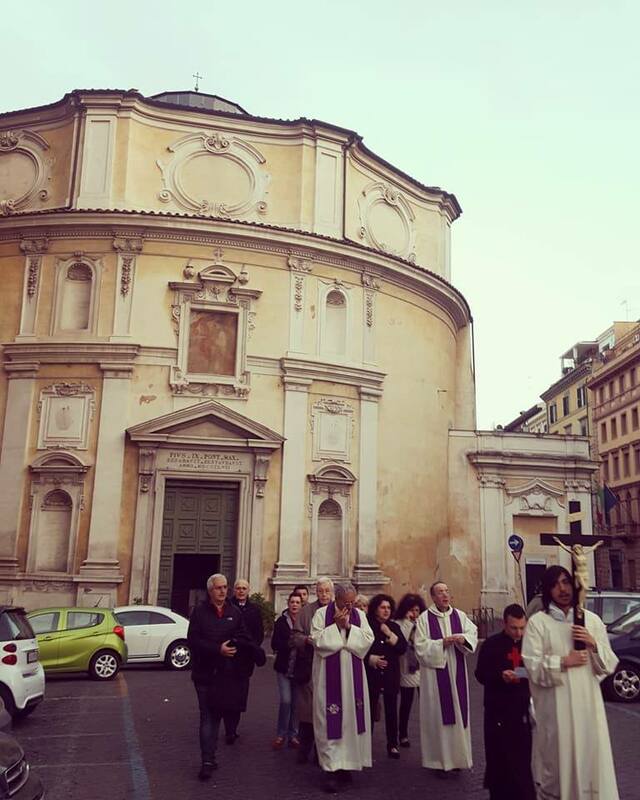 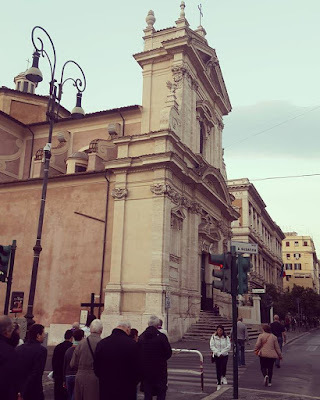 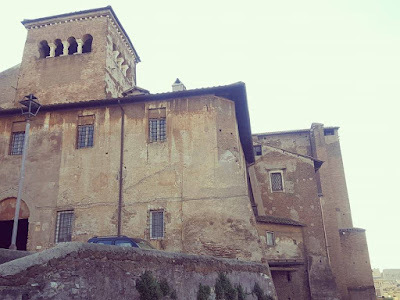 Fortunately, it sits on a piazza with two other churches, so the faithful gathered in one of them, San Bernardo alle Terme (first photo), then processed past Santa Susanna to Santa Maria della Victoria next door for the Mass. 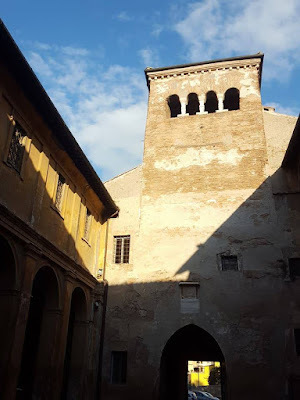 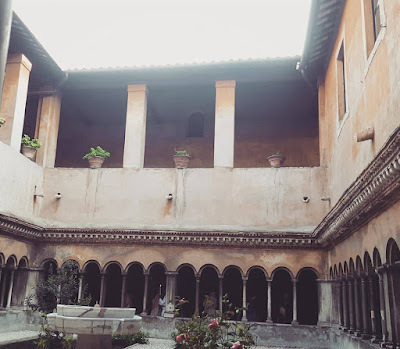 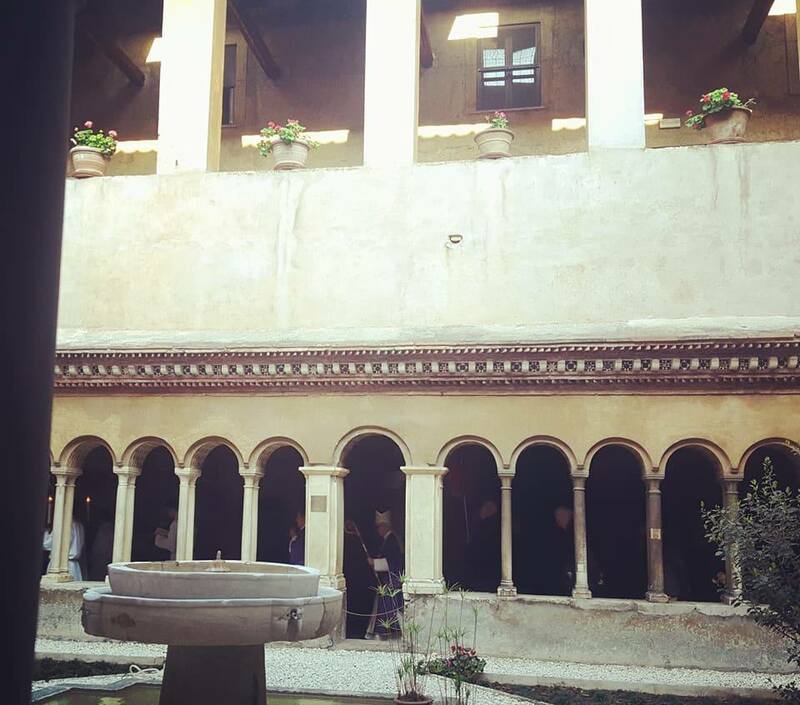 A view of one of the three courtyards leading up to the church, which was built as a fortress and a possible place of refuge after the many political disturbances which Rome saw in the later 11th century, and throughout the 12th. 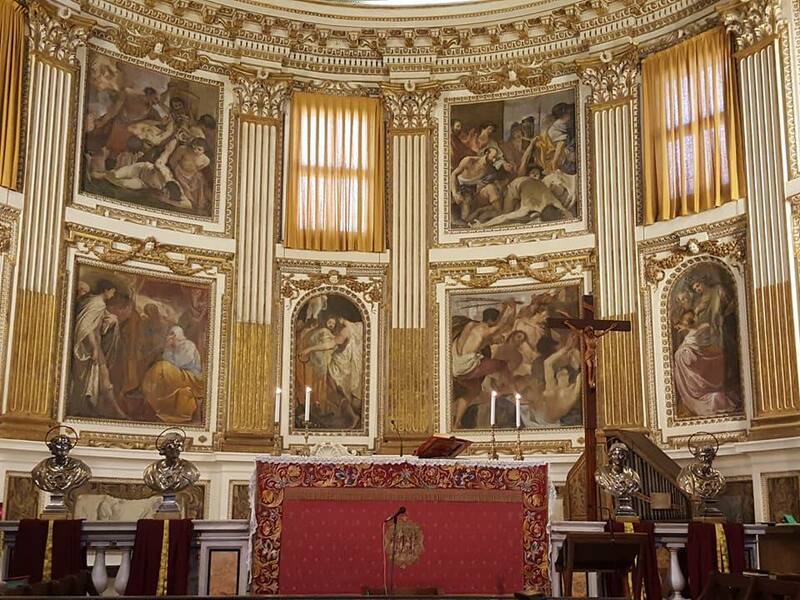 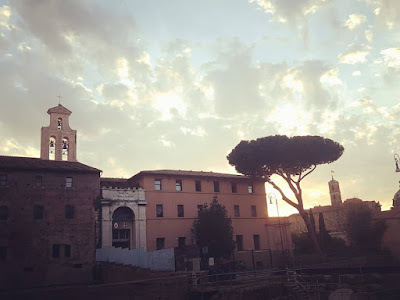 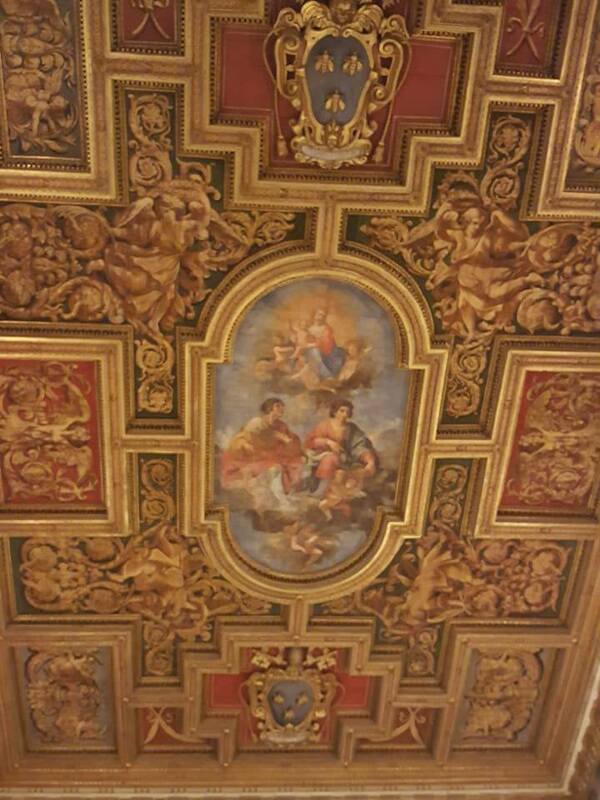 The church is nicknamed from the Pope who founded it, St Damasus I (366-384), in honor of St Lawrence, who has more churches dedicated to him in Rome than do Ss Peter and Paul. 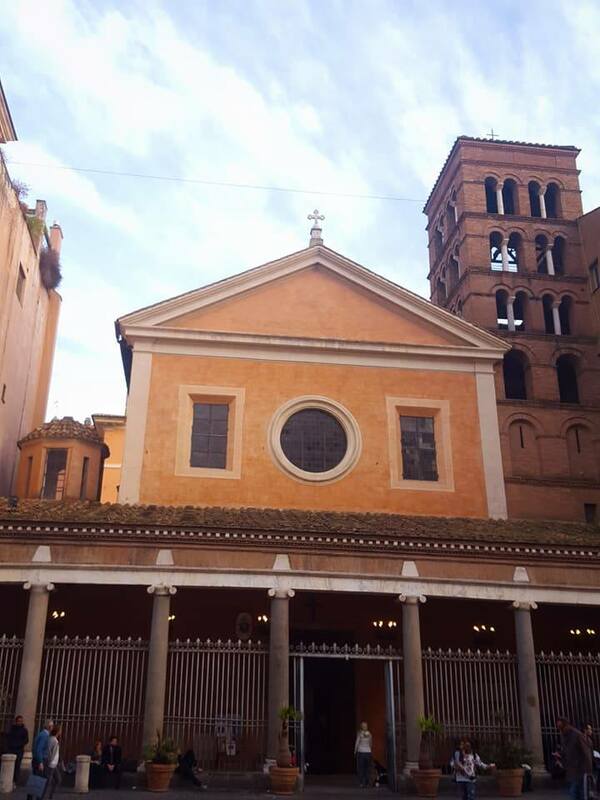 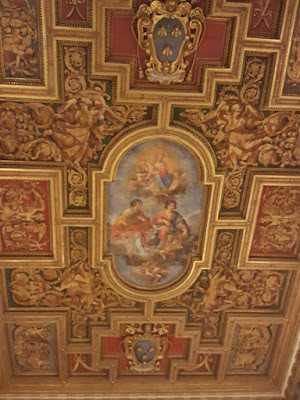 The church was rebuilt in the 1ater 15th-century, in such a way that it is almost completely enclosed by the “Palazzo della Cancelleria”, the Papal chancery building. 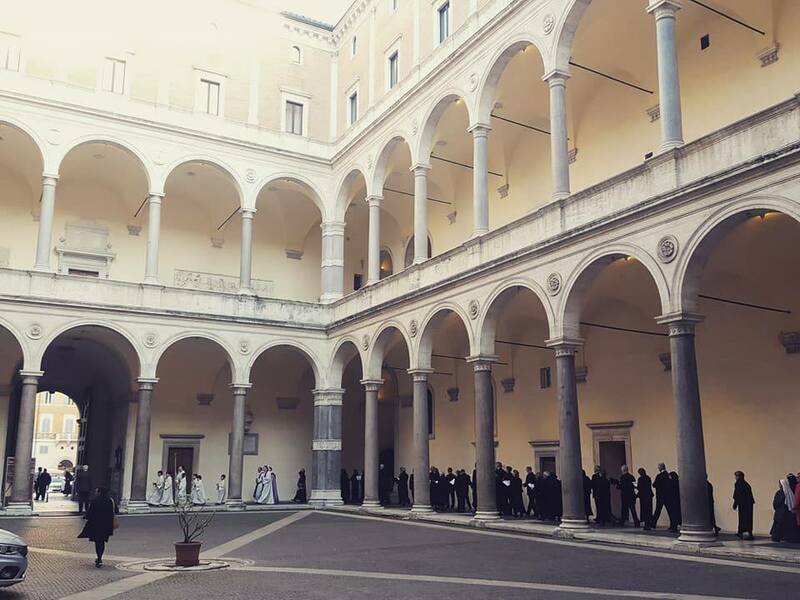 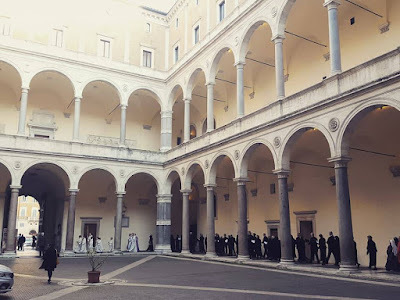 The procession before the Mass was held within the Cancelleria’s courtyard.